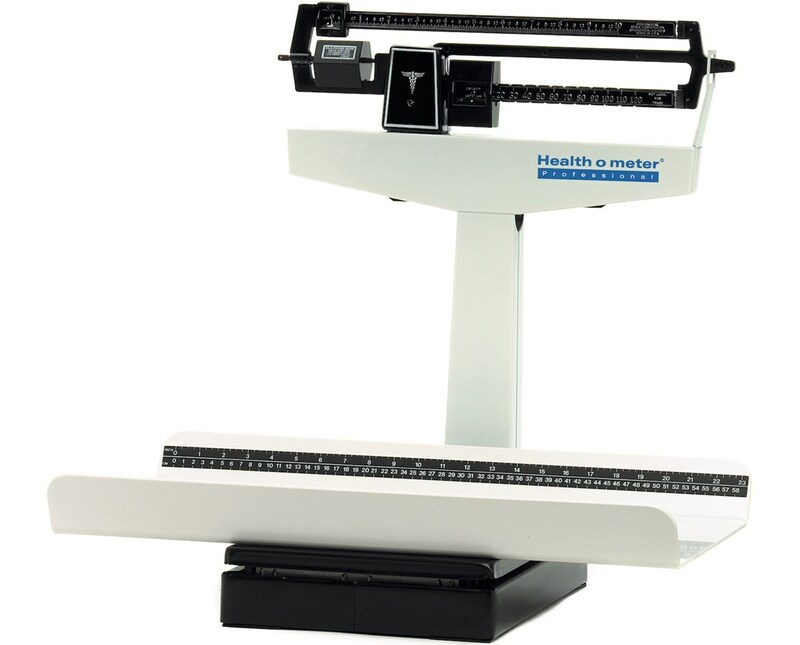 The 1522KL Health-o-meter Professional Pediatric Beam Scale is a durable and reliable scale for all medical environments. Its large and sturdy weighing tray is manufactured with easy-to-clean ABS plastic, a number one requirement in sanitary healthcare facilities. The rotating poise bars with lock-in capabilities allow for dual reading in LB and KG. 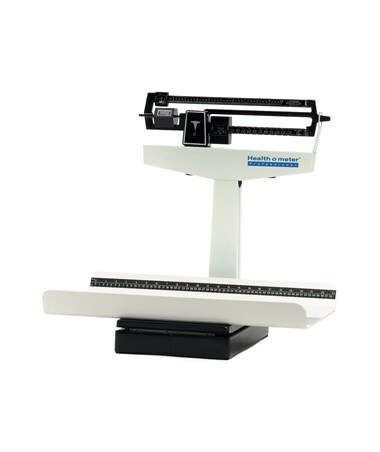 The built-in measuring tape will enhance and simplify your weighing procedures. This scale has been factory calibrated to ensure its accuracy. The 2 year warranty ensures that any problems you encounter with this scale will be quickly and efficiently resolved. Tray 24.12" x 14.87" x 2.5"
Overall Measurements 20.75" x 24.12" x 22"